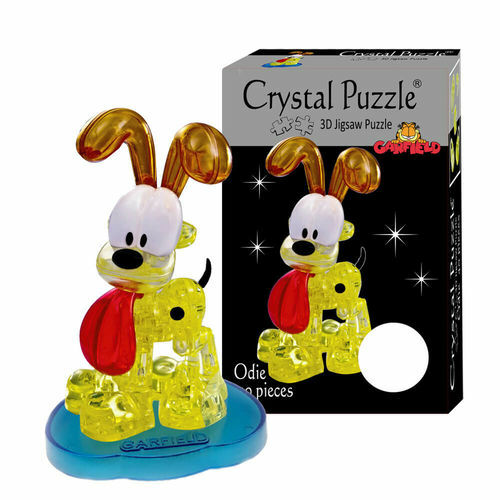 Perfect for fans of Garfield and Odie! Garfield's best friend needs your help, but once you build him, he'll be your friend for life! Each transparent plastic piece of this 3D Odie Crystal Puzzle has a unique interlocking shape for you to master. Feel your way through the grooves and lines to build him from the bottom up! Follow the instructions and arrange the pieces in numerical order, and you'll have yourself a beautiful keepsake in no time! It can be quite a challenge (a bit like Odie's relationship with Garfield), but in the end you'll agree, Odie's ok!